The idea of this beer was more than just accentuate a “roasty” flavor. 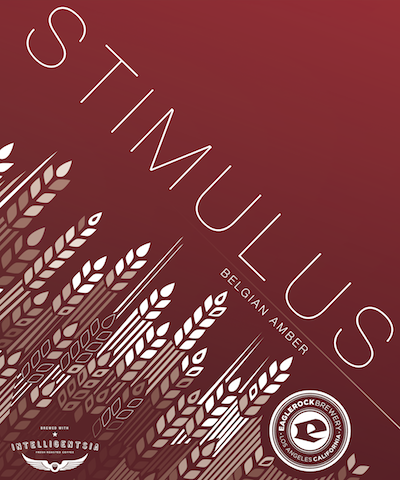 The coffee used in this beer is produced by Intelligentsia are so nuanced and flavorful that they wanted to accentuate those flavors and find complementary components could draw in the beer. This is a winter brew made by Crazy Mountain Brewing Co. and Vail Mountain Coffee & Tea Co. located in Edwards and Minturn Colorado. The coffee used was an Ethiopia Yirgacheffe at a medium - dark roast and 100% Summit Hops. The name of this beer is from "The Midnight Marauders - who flatten snow in the wee hours, as they ascend without fear into darkness"
The Appearance of the beer is Dark chocolate in color that is transparent , with a moderate, tan head. The Aroma of this beer is like of toasted almond, bitters, coca nibs, demerara sugar, malt, and a slight berry note. This beer has a smoky taste like of hickory, The coffee is not as prominent as I hoped but there is a citrus note that comes through like of Kumquat along with berry notes of blackberry and strawberry. There is a distinct hop note to this and this tart and vegetable like. On Friday the 28th of 2014 Hanger 24 in Redlands released a single Twin Engine Cask that was tapped at 4pm. This beer featured their Alt-Bier Amber Ale with additions of Augie’s Ethiopian Roast Coffee. The Appearance of the beer is copper colored, with a moderate, off-white head. The Aroma of this beer is like of toast, green grape, apple, chamomile, brown sugar, a malt aroma with a barely-there hint of caramel. This beer is light with the coffee being very mellow. The coffee notes of berry and cocoa nibs come through with the hops tasting of lemon grass not being overpowering. There is a tartness about this beer that almost feels like a light brewed nitro coffee with little carbonation and a creamy mouth feel. Continuing to drink this the berry notes come out as blackberry and the carmel notes of the beer. At the end of this beer the tartness of the hops is the key player with the coffee flavors mostly gone. There is a flavor of radish , salt, cardamom, and mint that does come through if you sip this and let it develop in your mouth.